As a participant in the Blogging from A to Z in April Challenge, I have been reading a lot of A to Z blog posts. Many of my regular activities took a two week break over Easter, so I had more time at home. This post is really about the books I have finished reading in April. Some of them were the sort of books which cannot be read from cover to cover in a day or two. 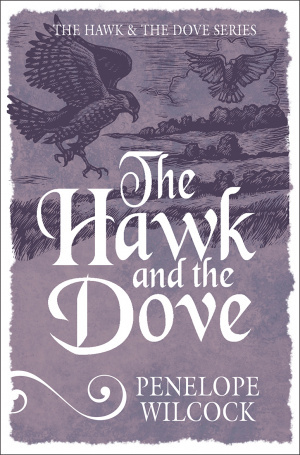 I read The Hawk and the Dove by Penelope Wilcock. This is a series of tales about Benedictine monks living at the time of Chaucer, as told to a teenage girl in the 20th century. Each story takes up a chapter and I found that one was sufficient at a sitting as they gave me food for thought. I really enjoyed this book and intend to read others in the series. I began reading The Apple of his Eye: Discovering God’s loving purpose for each one of us by Bridget Plass part way through February. It is an ideal book to read in Lent. I added it to my quiet time readings. It is a book, which helps its readers to accept how much each is loved by God. I finished reading it after Easter and recapped the Easter story through it. I recommend this book. Here in the UK we are celebrating the 90th birthday of Queen Elizabeth II. A book about her life of service and her faith has been beautifully produced. 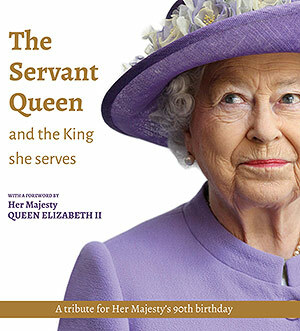 The Servant Queen and the King she serves has beautiful pictures and extracts from her Christmas broadcasts to the nation (and the Commonwealth). It is a book to keep as a souvenir and a reminder of how powerful people can also have a servant heart. Another book I added to my quiet time readings is a book of modern poetry. Sanctuary by Martyn Halsall includes many poems written during his time as poet in residence at Carlisle Cathedral. These poems require careful reading. I intend to go through the book again, making a list of the parts of the cathedral, which inspired particular poems. Then I shall take my list and the book to the cathedral and see how the background adds to my appreciation of the poems. Sometimes we are nudged towareds more than one book on the same theme. A friend from the Ladies’ Bible study group lent me a book, which (like Bridget Plass’s book) I had been aware of for a long time and which had been recommended to me. 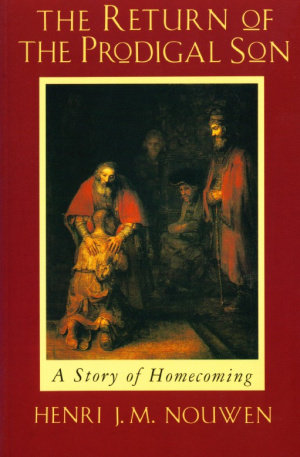 The Return of the Prodigal Son A story of Homecoming by Henri J.M. Nouwen is another book about the love of God. It is very readable, with chapters divided into shorter sections. I don’t know why it can be hard to accept that we are loved to the extent that God loves us. When we do accept it and remember to be thankful it can make a huge difference to our lives. Looking for the A to Z Challenge?